Another week, another fun Digital Bin! Again, the idea is to create spaces you can explore new music. Each bin is designed to let you sample some music you might otherwise not run into. When I was a kid, I would go to record stores and thumb through albums for hours with no rhyme or reason to why I picked or gravitated to the albums I chose. So, I just put these spaces together, in digital space, and hope people discover something that they enjoy! This week I am putting a few more of my tweeps in the mix. This is just really thoughtful, melodic, dreamy and awesome stuff. Makes me feel like I should be floating on an inner-tube with some music device and good headphones, eyes closed on a lazy river with the sun beating down on me. You might think I am being dismissive to call this goofy fun, but I mean it in the most complementary way. Sometimes we take the hard edges of the coloring book way too seriously. One of the things I love the most is when an artist colors outside the lines, but by showing us how familiar ideas can be seen differently. Rumors are a new album is forthcoming soon. One of my tweeps Shauna lived in the Ukraine, and this is a cool Ukrainian band. Very good stuff (it is in English). For people that don't know, all of my undergraduate work was in Soviet (then Post-Soviet) politics. She says it is very rare for a band from that area to have music out like this. Glad I got to hear this group. Really strong. This is a great Bin, Wow! 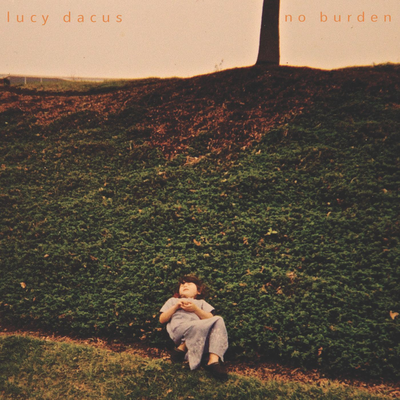 If you like Courtney Barnett, and I do, I cannot imagine you will not like Lucy Dacus. Both are really strong lyrically, but where Courtney speaks from ironic and cynical places I feel like Lucy is kind of more open to the benign indifference of the universe. Probably a bit too major for my bin. But I have always loved Santigold's sense of fun and free play with genres I love. I am really glad she is back releasing albums! If you don't enjoy this bin, well, maybe we can't be friends (but I hope we can). Check out all of the other five digital bins here. Thanks to everyone writing and sending me music links! What did you think of this weeks bin? What did you like and dislike? Let me know what you think, leave a comment, the only thing missing is your voice!